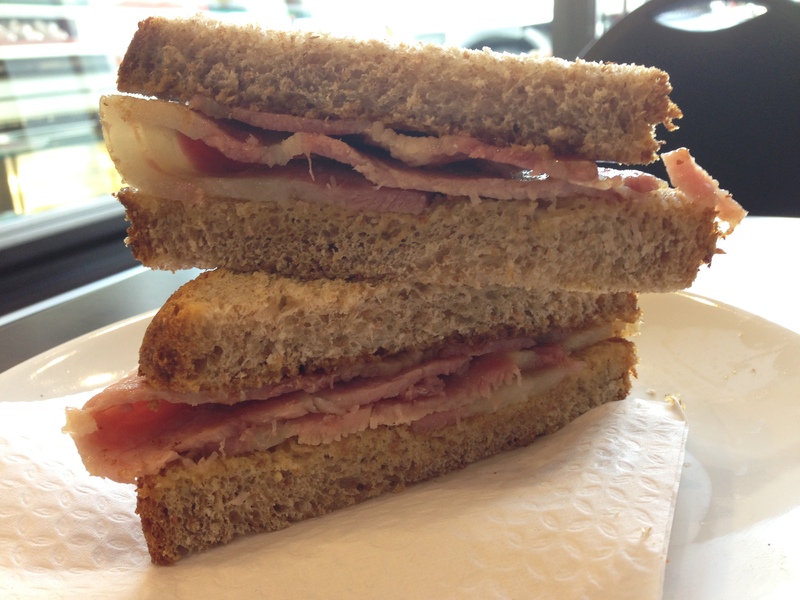 This was a marvelous bacon sandwich – lovely soft brown bread, with a crisp crust only a few hours out of the oven and succulent bacon and a little brown sauce. I ate it at Sunflour Bakery at 263 Caledonian Road where Paul and Gabriela have set up shop recently. As well as the trad. 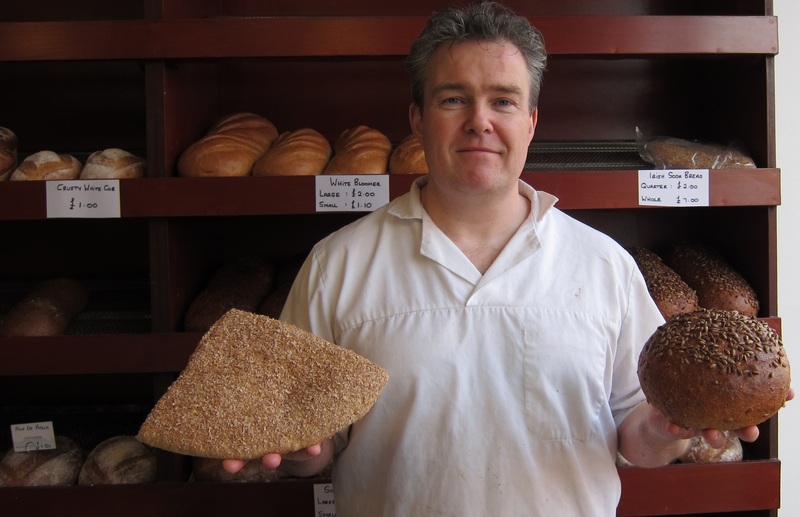 donuts and white sliced they have a growing range of artisan breads – a sourdough, spelt etc. Paul is keen in the future to hire local people, expand into wholesale, provide business catering and put on activities for local kids. They have taken a ten year lease from the widow of the baker of the old Bun in the Oven bakery on this site, who died suddenly five years ago. Chatting with Paul (ex de Gustibus) I was struck that Sunflour seems different to the isolated outposts of gentrification on the Cally, that haven’t done well at all. It’s rare to have a business that has something for Barnsbury and something for the Bemerton, yet it seems to me Sunflour has the potential to be a business that can have a foot on both sides of the Cally Road and even over in N1C. It’s so new they haven’t even got a proper sign yet. Well worth a look if you want something different for lunch – about a 7 or 8 minute walk from the junction of Cally Road and Wharfdale Road. thanks to Paul Convery for tipping me off. This entry was posted in Community stuff, Food and Drink, Local businesses and tagged cally road. Bookmark the permalink. Surely a proper bacon sarnie should be between white bread and not brown! I’m going to try the next time I’m on the Cally!